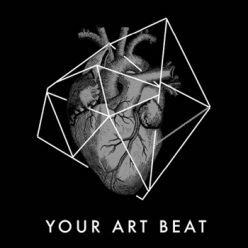 You want to contribute to the YOUR ART BEAT Blog? – Send your post to johanna@yourartbeat.de! The YOUR ART BEAT Blog is an open web blog where everybody can publish and share their contributions. The focus is on the topics: Art, culture, creativity and their perception with all senses. Contributors are free in choosing form and genre of their posts; own projects, reviews, reports or interviews, presentations or reviews, everything is possible. It is possible to display the contributions in multimedia format – i.e. with pictures, animations, videos, presentations, podcasts, web links, etc. YOURARTBEAT wants to create a platform that explores a wide range of topics and represents various perspectives in order to initiate a discourse and generate knowledge in an entertaining way. Thus, a comprehensive sustainable network of informative and entertaining contributions is created which is the basis for a kind of “visual store of knowledge” for all creative issues.